If you have been looking for a Pentecostal Church in Hartlepool then well done, you have found us. The outside of our building may look old and uninteresting (it is over 100 years old) but inside a warm welcome awaits you. We think of ourselves as one big happy family and are always keen for others to join. Come along and see for yourself; enter through the cross. Details of all our meetings are listed on the 'Calendar' and if you need help finding us then look under 'Contact' and follow the instructions. We look forward to meeting you. 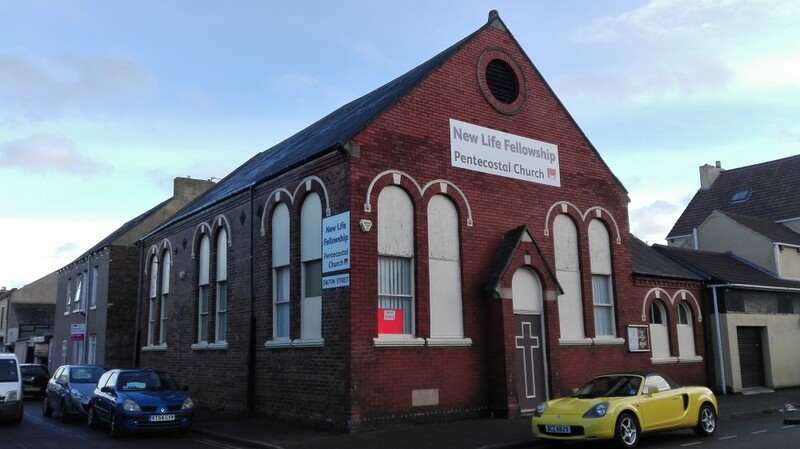 New Life Fellowship is a Pentecostal Church in fellowship with Assemblies of God in GB (www.aog.org.uk) and is based in Hartlepool on the North East coast of England just a few miles north of Middlesbrough. We would love to see you at one of our meetings but in the meantime spend some time perusing our site and getting to know us a bit better. We are adding to the site regularly so please visit us again so that you will not miss something that may be of great interest to you. We feel that we are just like one large family and always offer people a warm and friendly welcome to any of our services so why not come along sometime and meet us in person? Formed in 1931 as the then West Hartlepool Pentecostal Church, we continue to preach the Gospel message that Jesus died on the cross to forgive sin and rose again to give us eternal life. We are also proud to be part of Hartlepool Churches Together (www.hartlepoolchurches.org.uk) working with other Hartlepool churches to make a difference in our town. P.S. if you come to the Sunday evening service make sure you stay behind to sample one of our famous cups of tea. If you are looking for more information regarding the Christian faith and Jesus then try looking at the following webpage.